Zane, J. Peder; Bejan, Adrian (2012-01-24). Design in Nature: How the Constructal Law Governs Evolution in Biology, Physics, Technology, and Social Organization (Kindle Locations 1560-1564). Random House, Inc..
Why is the “dominant” individual feeling paralyzed by the “submissive?” Because the subordinate is generating the appearance of a preyful emotionally attractive stimulus, BUT IT IS NOT ACTING LIKE ONE. A “submissive” is indirectly being aggressive, actively confronting and bearing in on the superordinate. So the hunt comes first, the social comes second. The capacity to cope with the stress of pack life comes by way of the facsimiles of the prey/resistance (direct/reactive) predator state relative to (active/indirect) prey state. Every configuration of the group around the prey is a complex hierarchy of feelings (desire relative to inhibition) which then makes a complex social life possible. The social structure of pack life solidifies around this dynamic system of flux. This same pattern of prey/predator expressed via Direct/Indirect—Active/Reactive can be found in all animal interactions, the behavioral plasticity varying between individuals and species according to their emotional capacity. Some low capacity individuals can on occasion exhibit a high capacity response and seemingly transcend their genetics when they happen to find themselves in a context that is for any number of reasons highly conductive. So the environment can increase conductivity as for example a concert hall with excellent acoustics can improve a singer’s ability to hit a difficult note. In YDIYM this principle is elaborated into the notion that the group is like a computer with environmental inputs becoming social information, i.e. a change in the environment changes the way an individual feels about other individuals. It also extends to picking up a latent emotional charge in others and then getting it moving either through an expression of this energy into action, or even of a reaction to it that manifests as personality. 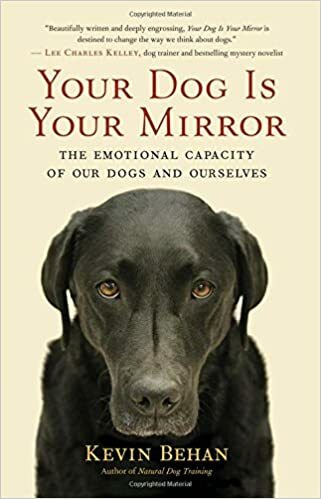 Hence an owner’s dog becomes their mirror. 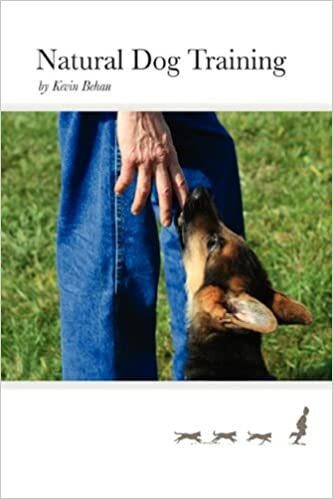 KB: In NDT I wrote that not only is there no drive to compete, but there is also no desire to please, and yet the strongest drive in the canine mind is to be in harmony. The animal mind must work toward harmony because otherwise an individual will end up holding a charge and will sense itself to be incomplete and separate from its surroundings. When an organism is charged we will indeed see friction commensurate with the intensity of the charge, but this is not competition. Even if the friction seems to be over a resource, the resource is merely serving as a trigger in order to move an old charge. Because the animal mind involuntarily projects its “self” (physical center-of-gravity plus physical memory) onto what it is attracted to, an animal feels it IS what it is attracted to. (What-I-Want + How-I-Feel = Who-I-AM) Therefore given the construct of the animal mind we can resolve the seeming paradox of altruism having evolved in a fractious world of friction simply by noting the utter selflessness of abject selfishness. The governing factor is emotional capacity. KB: Exactly, the logic gates in our computers are not competing with other logic gates in our computer for electrons. Electrical energy courses through the network of logic gates in a system wide flow pattern that makes the computer a coherent energy circuit. Likewise, what we misinterpret as competition over resources, is actually friction because emotion isn’t moving smoothly enough, and this friction differentiates organisms into the two prime temperament traits, prey and predator, so that emotion can move again. This intrinsically motivates each individual to synchronize with others because if an animal is unable to move emotion without resistance, they end up with more emotional charge and sense themselves to be more incomplete than before the interaction. This is why it’s more pleasing for a dog to herd sheep in harmony with the sheep and the sheep herder than it is to kill a sheep. In other words, every being is like a singular point of mass (carriers of stress as an emotional charge) and the universal motive is to become a wave (feeling of harmony). Even if one dog were to kill another dog over a bone and attain unassailable supremacy, because the losing dog did not purely conduct the charge as a prey animal would have, the victor will end up with even more of a charge than it began with and it will find itself falling into an addictive cycle of violence that makes it more and more charged and hence incomplete. Furthermore while this will not end well for a dog so afflicted, nevertheless from a larger frame of reference the charge is being faithfully reproduced and continually transmitted until somewhere down the line it will ultimately be resolved and converted into a wave, i.e. two individuals in emotional counterbalance with each other and feeling release around said charge. The computer and the internet evolved exactly as did consciousness. Information (emotion) is compressed into dense code (stress) so that it can more efficiently radiate in bulk and without error throughout the network and through Time. Animals are charged particles of consciousness and genes merely construct the “radios” so as to pick up the signal and convert it back into legible, coherent information, resolved emotion. Animals and birds synchronize with each other in order to turn stress into a wave, just as an internet browser decompresses packets of dense code and converts it into legible text, sounds and images on a users’ monitor. All thoughts, instincts, sensations and feelings, are subsidiary to this main emotional channel, E–>UE–>RE, the river of life that unites the watershed of consciousness with the ocean of consciousness. So the “submissive” modulates P/p aspects so as to exude enough attraction to lure in the “dominant”, but then maintain more resistance than the predator can overcome? Could you expand on what these actions look like to an observer? How does the “submissive” “prey” control the predator to avoid being attacked or “eaten”? You’re right that the more the seals move, the more prey energy they exhibit and the more stimulated the shark becomes. The problem for the seals is that they can’t reflect energy back at the shark. There is a 60 minutes feature on a shark guy in South Africa who is able to do exactly this and then swims with the sharks in bloody chummed up waters. A cat for example has enough of a predatory aspect to reflect emotion back at the dog which projects into him, and then can exploit this to paralyze the dog and control how the interaction will unfold. The back and forth regresses the dog back to a puppy like mind and then cat and dog are able to connect at this level, just as if pup was being raised with a cat, and they learn to get along fine, with the prey in control of the predator, the natural order of things. Let’s say for example, four or five seals were to band together and confront the shark with a united and immobile front. This would reflect the sharks’ projection of energy back at the shark and it would probably need to bump them to see if it could cause some preyful aspects to shake loose. And if the seals were in concert to attack the shark, in my opinion it would probably flee. It all boils down to a question of thermodynamics, which direction is energy going to flow (-) predatory —–> (+) prey establishes the direction of flow, FOR ALL INTERACTIONS, no matter the context, no matter the species, no matter the relationship. If the prey can reflect back at the predator, and then absorb in turn, then they can potentially create an oscillating emotional dynamo, what we otherwise call an emotional bond. It’s the back and forth exchange of emotion that elaborates a predatory/prey dynamic between two beings into a complex social relationship. Species of animals vary in their capacity to do this within and beyond their own kind. Otherwise they depend on the emotional conductivity of the circumstances to help them pull it off, as for example when the tortoise bonded with the hippo, or the lioness nurses the gazelle fawn. So then whether two animals can play together without one becoming actual prey depends on whether the more preyful one is capable of generating enough resistance (predator aspect) in order to reflect the predator’s energy back to them, right? And this is the same mechanism that allows healthy prey to survive while less healthy prey collapses under predatory pressure? Then why would seals not have this ability to reflect the shark’s energy back to them in order to survive? It seems like their survival then is dependent on pure physical dexterity to be able to get close enough to the shark to get away from its jaws. So then what purpose does further arousing the shark’s drive serve for the seal? I’m trying to understand this relative to the deer example where the deer’s white bushy tail arouses the wolf. Right, the preyful one has to be able to resist and thereby reflect the projected e-cog back at the predatory one who projected it. An unhealthy prey animal even though it may have been able to fend off wolves by standing its ground its entire life, will lack that capacity when sick and so it goes. I suppose that for seals, their collective strategy is to flee in all directions in order to confuse the shark, or because they may be more maneuverable being smaller can best stay out of range when in close, but we also have to recognize that it isn’t strictly speaking seals evolving in competition with sharks. It’s all evolving as one organism and sharks have to eat too.